Latest post Wed, Dec 12 2018 5:37 PM by carcharias. 6 replies. How can I relink it? when I used "Relink " to reconnect it to the transcoded file it can not found and relink it anymore. May I ask you to help me pls? If you use the hamburger (fast) menu in your sequence bin, you can choose "Set Bin Display" and then select "Show Reference Clips." This will populate your bin with all of the clips used in your sequences in that bin. Then at least you can "Find Bin" to the clip that is offline and try to relink that. I'm confused on this one...What exactly are you trying to relink? It sounds like you have an AMA-linked clip and you're trying to relink it to a transcoded file? Why would you try to do that? I used some ama link and I maid multicam and group but I have to send my time line to the other FCP editor. So I have to relink them to transcode file. Actualy I have basic problem with relink on MC. Why I can not relink with select actual file and I have to use auto relink with search? when I try to relink them directly to transcode file Mc dosent accept that. I found a way to solve my problem. with "toggle Source/Record" I found my source and then I relinked them . But still I have my problem. Why for relink we have to select AMA folder and how "Relink" works? Sorry, this is a bit different but I have some Media offline but it is because my external hard drive change system letter (from J to S) so does anyone know how I can remap it so it can be the same system letter again in avid not windows. I know how to do it in windows and I don't want to do it there because another drive might have it already. I tried relink but it didn't work. any tips? Why are you asking a question about drive letters in the Mac forum? Anyway just AMA your source clips again and they will automatically relink to the master clips (most times). Avid does not control drive letters the system does. 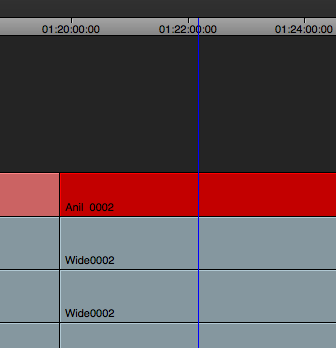 Avid manages and tracks it's media differently to other NLE's. It has pros and cons. If you have transcoded your clips they should no longer be AMA linked but should reside in the Avid MediaFiles directory. This has the advantage of working no matter where the drive is mounted. You don't have to search for media at all. Whats more Avid doesn't lose renders when you change monitoring etc. It is a lot more robust and less prone to errors than say FCP but not as easy to understand. This worked for me like a charm. No other replies I've searched for over the last many months had worked, so thank you.